Policemen Stirrer is multipurpose which works as a stirrer as well spatula. The fattened ends of this rod form two small spatulas. 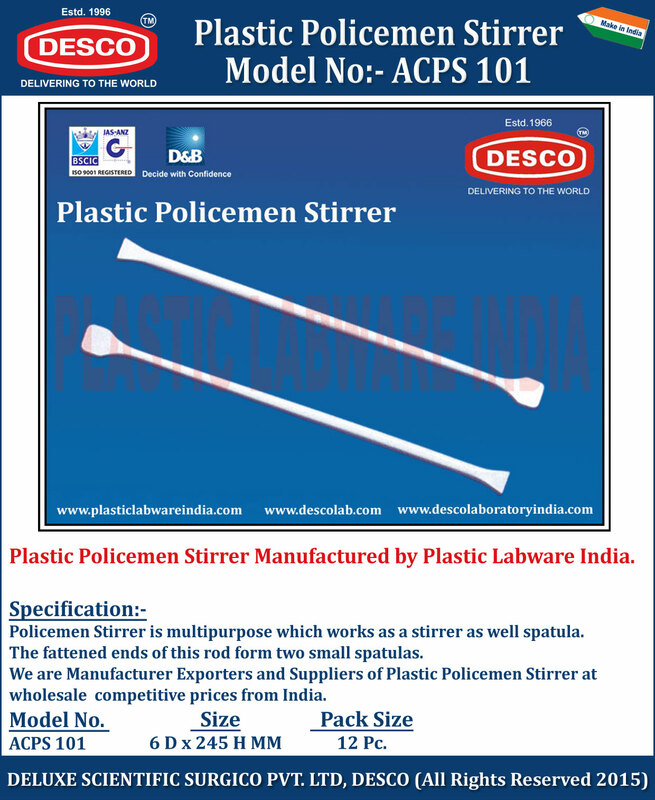 We are Manufacturer Exporters and Suppliers of Plastic Policemen Stirrer at wholesale competitive prices from India. ACPS 101 6 D x 245 H MM 12 Pc.